distribution Statewide, though distribution in the mountains is spotty (but likely occurs in all 100 counties of NC). abundance Common to often very common in the Coastal Plain, and fairly common to common in the Piedmont; rare to uncommon in the mountains. flight The flight is from the end of March or early April into early November in the Coastal Plain. In the Piedmont the flight begins a bit later, by mid-April, and likely ends around mid-October, but oddly we have no records after September! The mountain flight occurs from late April to mid-October. habitat Swamps, bottomlands, rivers, and large streams; not numerous around forested lakes or ponds. behavior Often seen cruising along forested roads and other clearings near woodlands and swamps, such as along roads through bottomlands and swamps. Flight is often head-height to treetop level. Frequently perches, usually at head-height or above, hanging downward from a twig. comments If a large dragonfly is seen flying over a road through a forested wetland, it is most likely this species. Several can often be seen in the same general area, though it normally doesn't form swarms. It can often be the most commonly seen species on a summer or early fall day, especially in the Coastal Plain. Comment: Columbus, 2017-05-28, - Lake Waccamaw. Seen on main lake and all adjoining creeks/rivers. Comment: Columbus, 2017-05-20, - Lake Waccamaw State Park. Small feeding swarm near first dock along lake trail. Comment: Onslow, 2015-06-14, - Feeding swarms present every night, four females collected for ID. 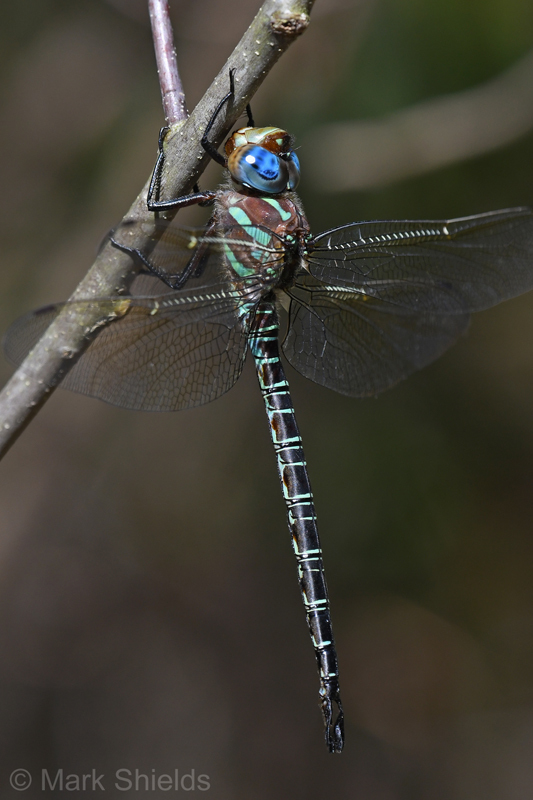 Comment: Dare; Mainland, 2015-06-07, Alligator River NWR Charles Kuralt Trail - Photo of only one individual, but there were several that might have been been swamp darners.